Posted 28 April 2017 under Ask Us. The short answer is that unless you are lactose intolerant or have an allergy to dairy, there is no reason to avoid cow’s milk. Other forms of “milk” such as almond milk are lacking in some nutrients. For example, almond milk has almost no protein in it, and the calcium that it does contain has been added to it (it is not naturally occurring). If you are looking for an alternative to cow’s milk, try Lactaid or other lactose-free milk or soy milk for similar nutrient profile. 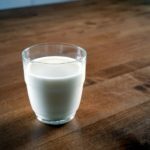 Regardless of what type you choose to drink, make sure that you are getting enough calcium in your day by having the equivalent of about three glasses of milk. Your bones will thank you!